A letter pointing to Winterkorn could lend weight to the cases of shareholders planning to sue VW for compensation for the plunge in its share price, saying the automaker should have told the public as soon as it became aware. 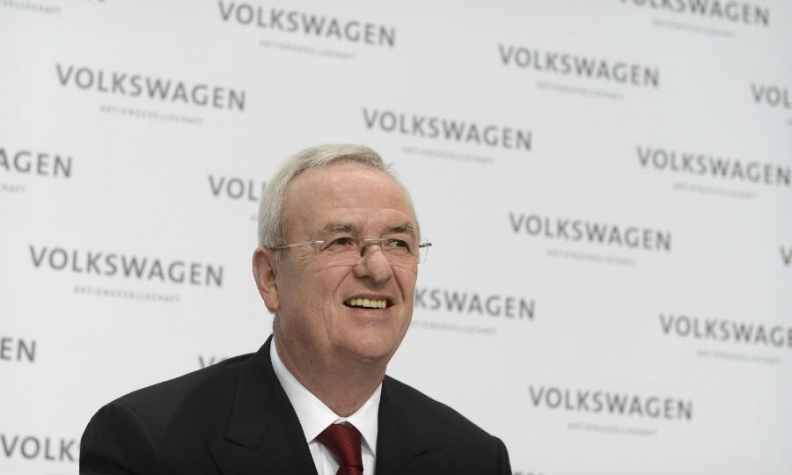 FRANKFURT (Reuters) -- Former Volkswagen CEO Martin Winterkorn was informed that the carmaker had told regulators it was using emissions defeat devices two weeks before the cheating scandal became public, German tabloid Bild am Sonntag reported on Sunday. Volkswagen's U.S. CEO, Michael Horn, told a U.S. House of Representatives hearing in October the company had told regulators on Sept. 3 it was using defeat devices. The letter pointing to Winterkorn could lend weight to the cases of shareholders planning to sue Volkswagen for compensation for the plunge in its share price, saying VW should have told the public as soon as it became aware. The law firm acting for Winterkorn, who resigned on Sept. 23, could not be reached for comment outside normal business hours. The discovery of the cheating, which U.S. authorities announced on Sept. 18, led to the resignation of several top managers and is likely to cost the automaker tens of billions of dollars. Volkswagen is expected to present the first results of its investigation in April. It has said so far it has no reason to believe that more than a few people were involved in the cheating, and not at the top level.